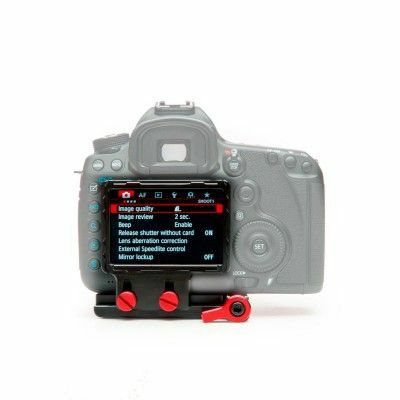 The C100 Z-Finder Plus is an optical viewfinder, specifically designed to attach to the Canon C100 camera LCD. This Z-Finder will magnify the LCD screen by 1.8x and has a diopter for specific focus tuning. It cuts out any extraneous light and offers an initial point of stability by pressing your eye against the large eyecup. 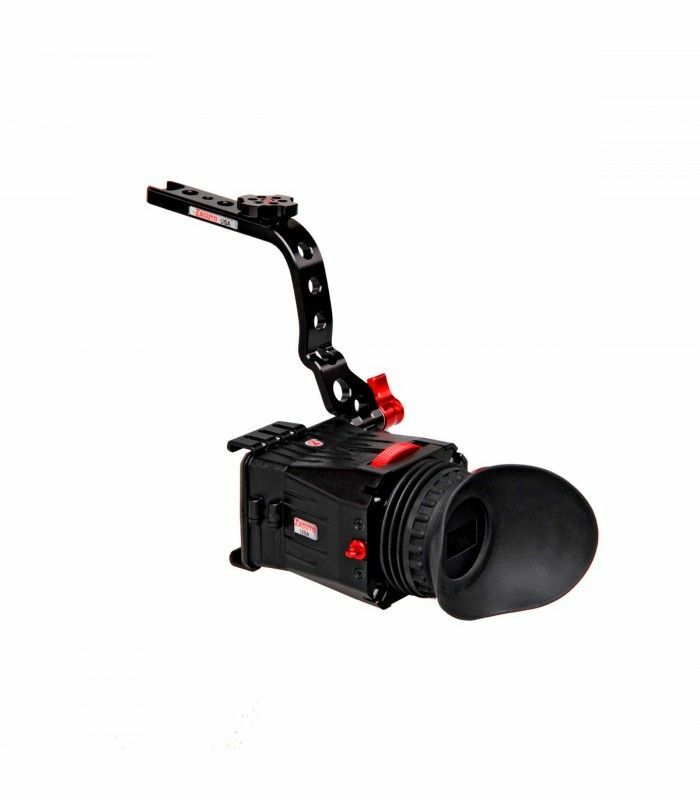 The C100 Z-Finder Plus comes with a 40mm diameter Zacuto optical lens, anti-fog coated protective covers, a C100 Z-Finder Bracket for secure mounting to your camera, and a few additional accessories. The diopter allows you to dial in the focus to match your eye. 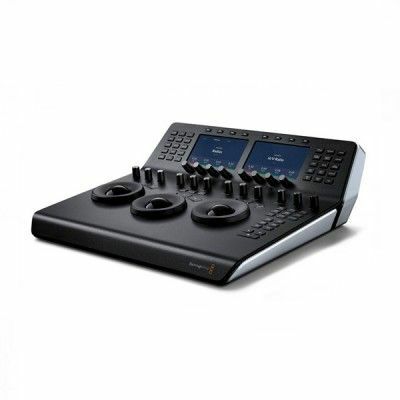 If you need extra focal points you can use the included Z-Finder Extender Frames. These are semi-permanent stackable frames that attach to the body of the Z-Finder and extend the Z-Finder glass further away from the LCD screen for people who are farsighted. The C100 Z-Finder Plus is comprised of three important parts. The first is the viewfinder itself with the lens, diopter, and eyecup. The second is the LCD mounting system. The mount slides onto the Canon C100 LCD screen when articulated. The viewfinder snaps on and off the frame. The third part is a C100 Z-Finder Bracket. 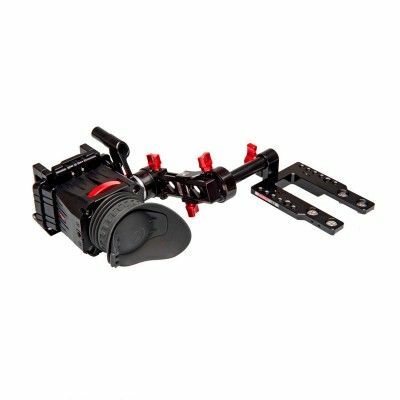 This Bracket attaches to the side of the Z-Finder Plus with a red twist knob and also to the top of the C100 camera handle with a ¼ 20 screw. Once the Bracket is attached at these two points, adjust the angle of your Z-Finder by releasing the red, quick release, ratcheting lever at the base of the small arm and setting the Z-Finder at the desired angle. Twist lever to secure. The small arm folds flush against the camera when not in use and for easy packing. There are two ¼ 20 screw holes alternating with two ? 16 screw holes (positioned ½ apart) along the top of the bracket for easy accessory mounting. 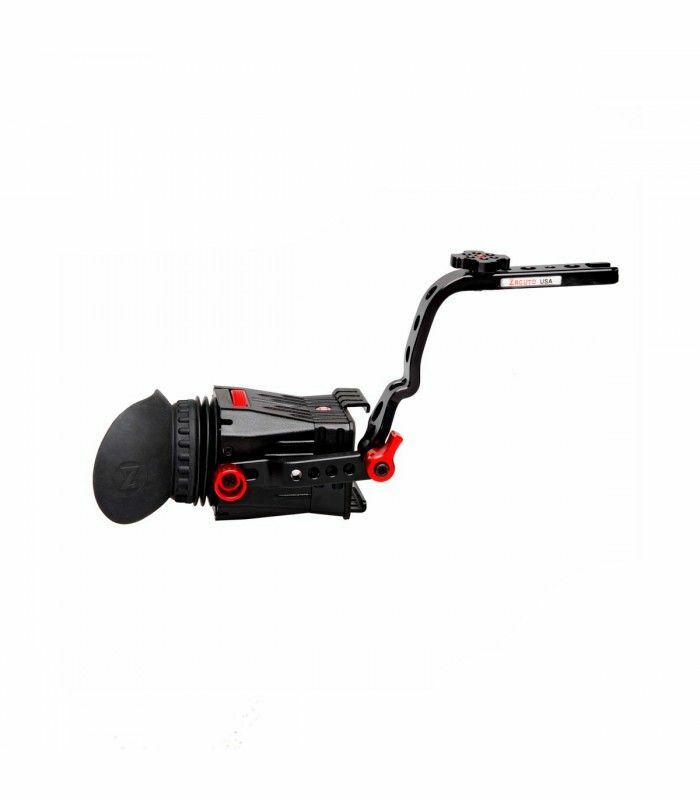 The C100 Z-Finder Plus is specifically designed for the Canon C100 camera and is not compatible with any other cameras or alternate set ups. The C100 Z-Finder Plus is designed for use with the standard battery included with the Canon C100 camera. (Canon - BP-955 Lithium-Ion Battery Pack-5200mAh) There may not be clearance for larger batteries. This Z-Finder is not compatible with the C100 Mark II. The C100 Z-Finder Plus Includes: Z-Finder eyepiece/loupe with 1.8x magnification and diopter C100 Z-Finder Mount C100 Z-Finder Bracket Three (3) Extender Frames Lanyard and Lanyard Hook Lens Cap, Sun Mask, and protective boot Z-Finder Dust Cover One installed and one additional Anti-Fog disc. This also acts as a lens protector and is expendable. 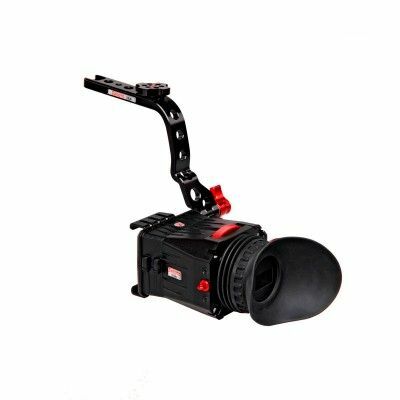 Recommended Accessories: Axis Mount for C100 Zacuto products are proudly made in the USA and non-electronic products have a lifetime warranty. WARNING: The Z-finder is a magnifier and as such will magnify the sun which could damage the LCD screen if the sun is allowed to shine directly through the Z-finder lens. This is not a defect but a physical property. Caution should be taken to avoid direct sun light. Proper use of the included lens cap and sun mask will dramatically reduce but not eliminate risk.